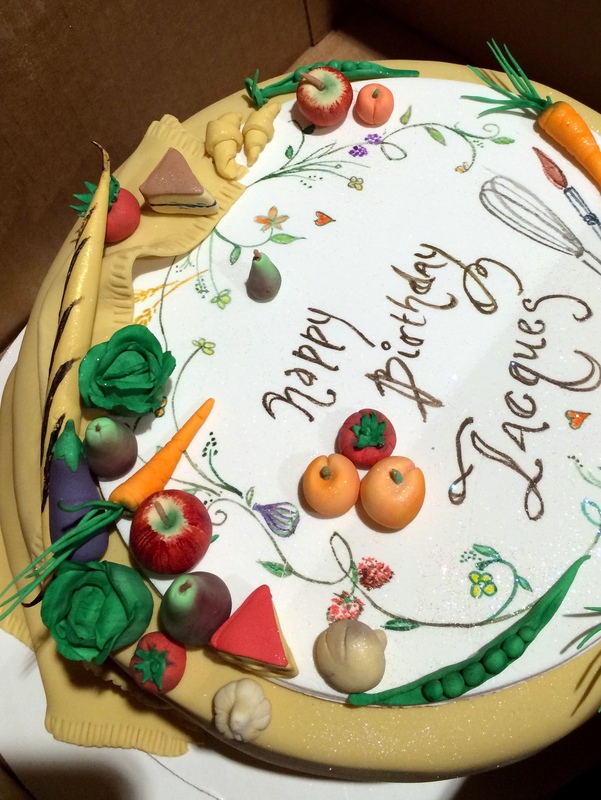 Last Friday, members of the International Association of Culinary Professionals honored Jacques Pépin at a gala birthday party in Washington, DC. 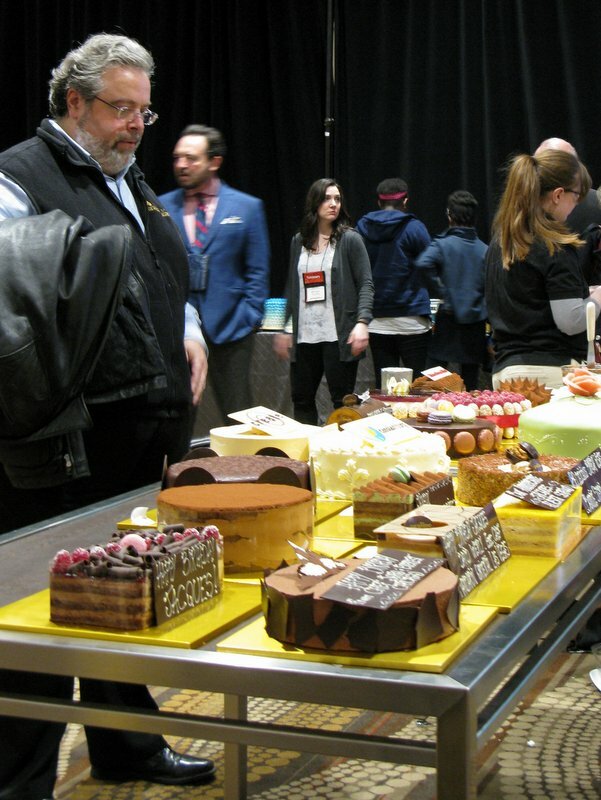 Under the direction of Bill Yossis, former White House pastry chef, more than 80 people donated cakes made in honor of Jacques’ 80th birthday. 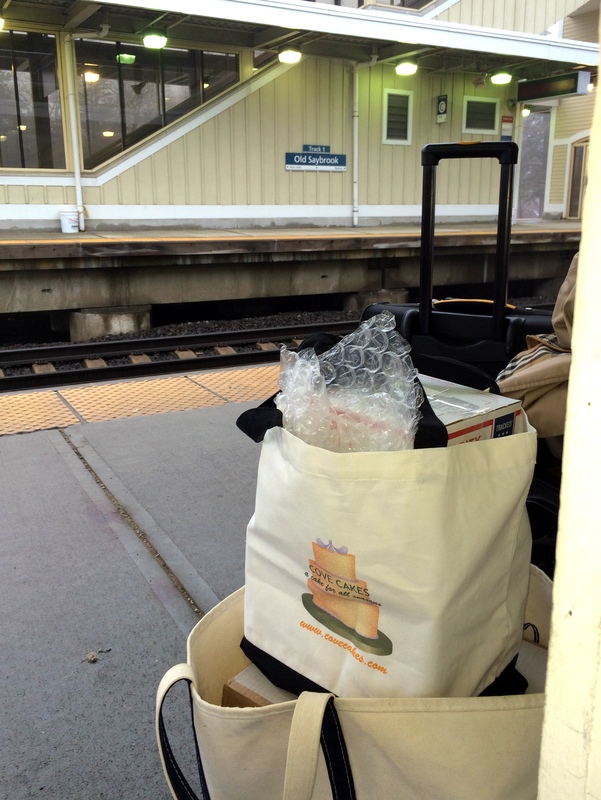 I was among them, a nervous wreck. “Of course,” I said when asked. 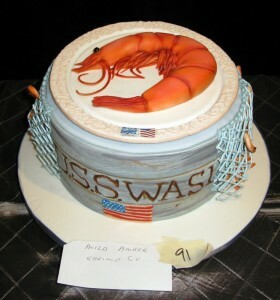 And of course I knew I had to make the cake myself, although Bill had arranged for a local DC bakery to make cakes to spec. And I planned a riff on the cake Jacques made for his daughter Claudine’s engagement party. That was a tower of buttery almond cake. As the date approached, I though more carefully about the task. 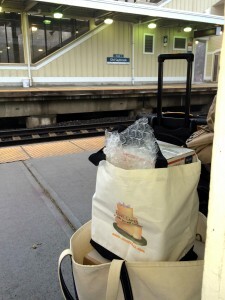 Transporting the cake on Amtrak, how exactly would I accomplish this? If I made a solid cake, more fruit cake that sponge, it would travel well. I conceived of a chocolate cherry almond cake, dense (and heavy). But how to ice it for an excursion? 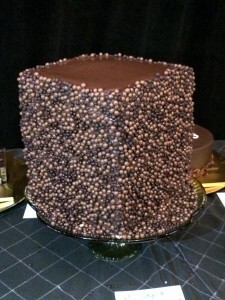 Could I coat it with buttercream then pack it in dry ice? Where would I find dry ice and the time for this production? 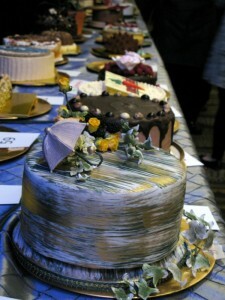 I thought of royal icing, the sweet stuff that dries like cement and is used to cover traditional British fruit cakes. There was no time to practice working with fondant, the trendy edible cake coating. 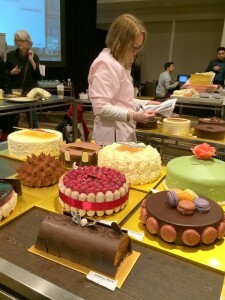 Then I thought of Karen Tyler of Cove Cakes in Lyme, Connecticut. Serendipity, Karen was making one of her exquisite cakes right around the time of the event. And she graciously agreed to make my our contribution, now a team effort, look splendid. 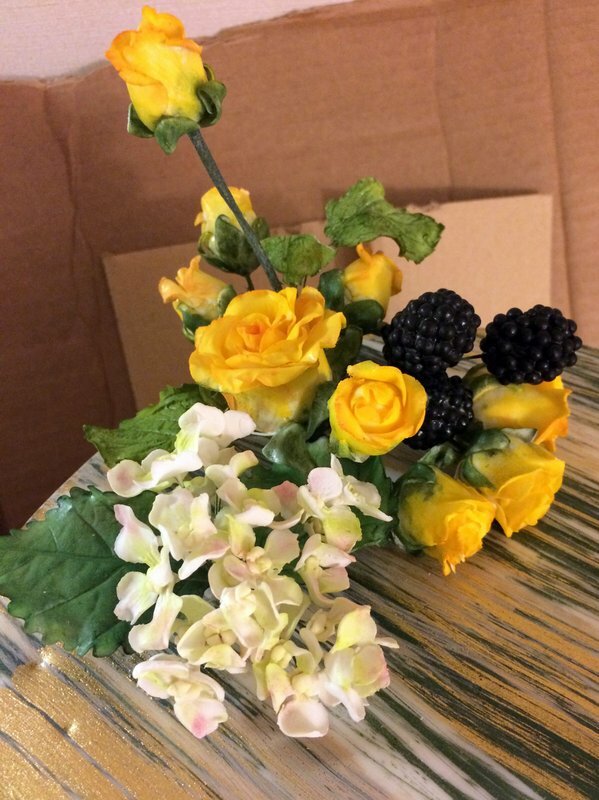 A custom cake creator, Karen’s specializes in the fine art of gum paste and pastillage, which she uses to capture flowers at their peak. 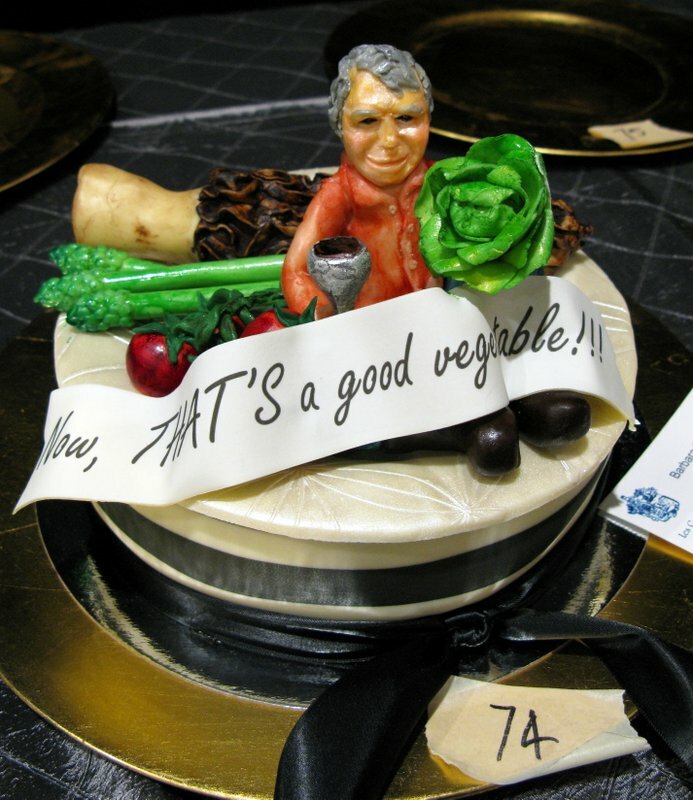 The lifelike cake decorations look like fine Meissen porcelain. She painstakingly rolls out the paste, and then cuts it into shapes. Tiny hydrangea petals, tapered dogwood blossoms, spindly ivy. Then she hand paints each flower selecting from a palette of more than a hundred hues. Jacques signs his artwork turning the J into an umbrella; pépin in French is slang for umbrella. She made an umbrella and a tea rose poesy for the cake topper. 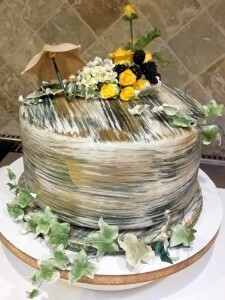 She then covered “our” cake with a smooth layer of fondant and painted that with light wide brushstrokes of gold, greens and silver. The effect was elegant and arresting. Merci Mille Fois, Karen. 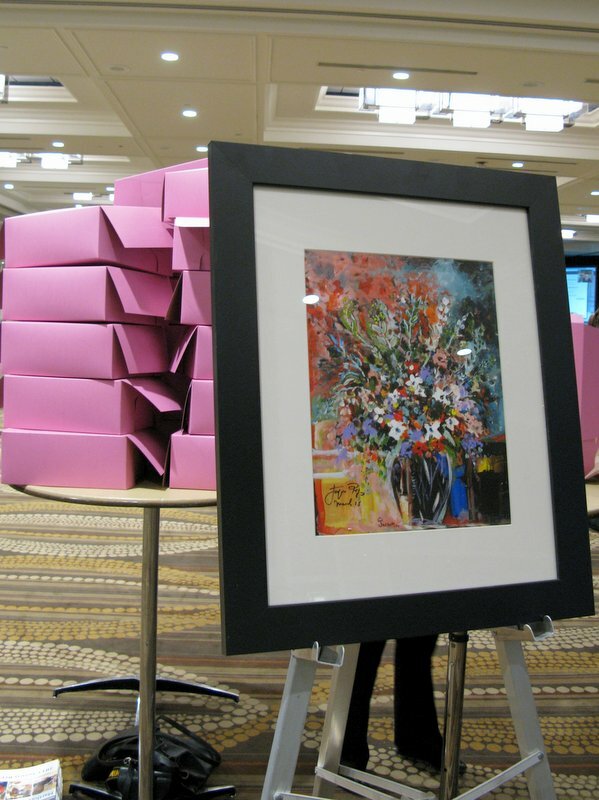 The day of the event, I delivered our cake to the hotel ballroom where the party was being staged. I met Della Gossett, pastry chef from Spago in LA who decorated her cake with the same style of whimsical fruits and vegetables Jacques puts on the hand painted menus he does for special events. Lovely. 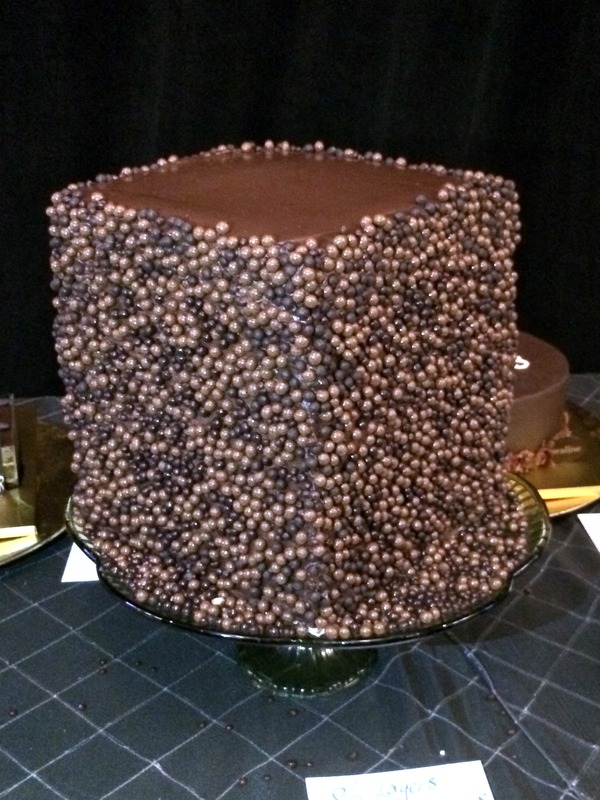 Sherry Yard brought in her 80-layer dobish torte, a rectangular stack that reached a foot in height. 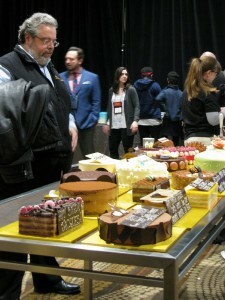 Whimsy was the name of the day in many of the cake designs. Several tables had been set up for last minute decorating. 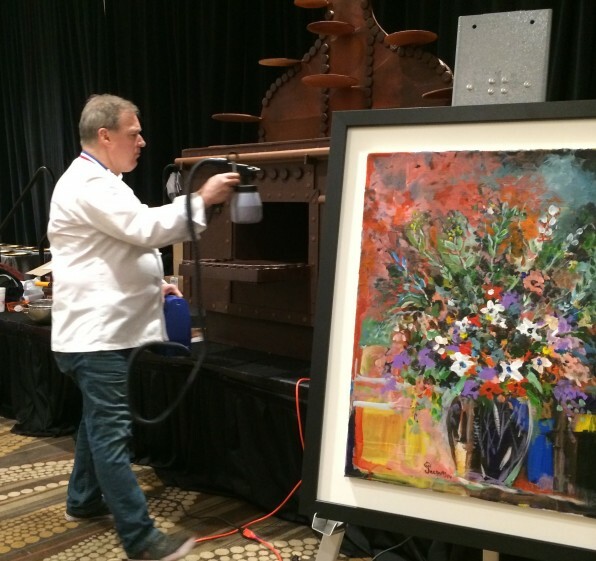 Chocolatier Jacques Torres fabricated the pièce de résistance, a life-size stove, from 300+ pounds of chocolate. Sadly, due to what we hope is a minor health issue, Jacques could not attend in person. But he was there in spirit and on huge monitors live SKYPING from Connecticut. A video tribute made by KQED honored his career. The room was silent except for a few sniffles. A rousing toast led by Chef Torres and a brigade of culinary luminaries- Daniel Boulud, Jose Andres, Ariane Daugin, Drew Nierporent among many more – capped off the evening, a fitting tribute to an inspiring chef, good friend and gentleman. Here’s a great slide show of the event in today’s Washington Post. 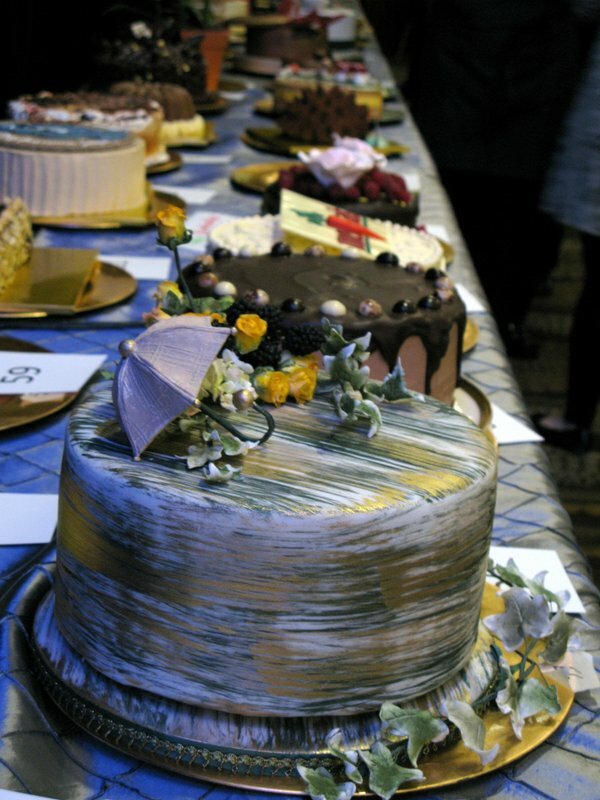 The cakes were auctioned off for charity. Another friend bought ours. I only hope she found 25 people to share it with. Anne, if the cake is dry, soft vanilla ice cream covers a multitude of sins. My cake recipe and a couple of videos to come shortly.